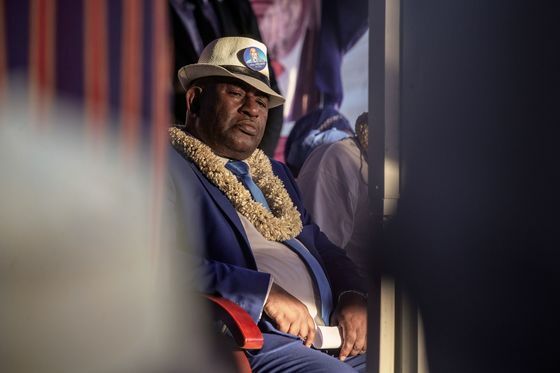 (Bloomberg) -- The U.S. government ordered its personnel to leave Comoros as clashes erupted in the Indian Ocean archipelago after this week’s contested election, leaving at least three people dead. Opposition leaders dispute the outcome of a March 24 vote that the electoral authority said was won by Azali Assoumani, who’s ruled Comoros on three previous occasions. Assoumani changed the constitution last year to enable him to remain in office until 2029. Soilihi Mohamed, a former army chief of staff who was one of the opposition candidates in the election, on Thursday announced the formation of a transitional council to resolve the “post-electoral crisis” and arrange a peaceful transition. He was later arrested by the authorities. Two members of the military and a civilian died on Thursday in a confrontation on Grand Comore, the largest of Comoros’ islands, Youssoufa Mohamed Ali, cabinet director in the presidency, told reporters in the capital, Moroni. Comoros, with a population of fewer than 1 million people, has had more than 20 coups or attempts at seizing power since it gained independence from France in 1975. Assoumani first seized power in a coup in 1999, before winning elections in 2002 and again in 2016.